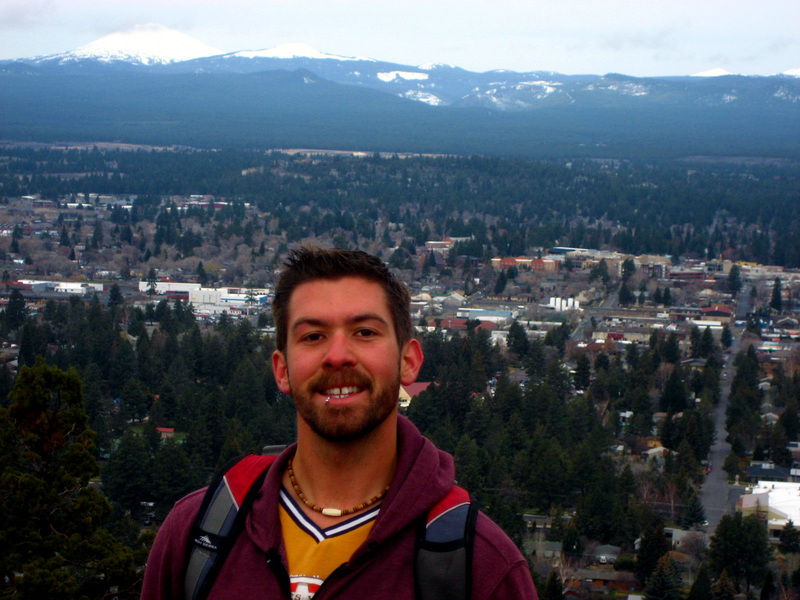 Bend, OR is an absolute gem of a town tucked away at the eastern edge of the Cascade Range where the climate starts to switch over to high desert. The first time I visited Bend, I was on my way to Alaska, and had been living in my truck as I slowly made my way up the West Coast. 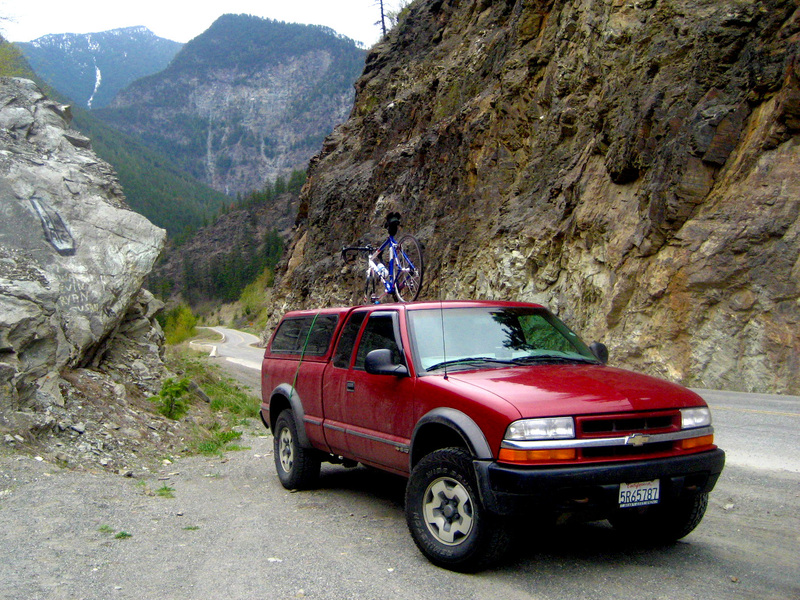 By the time I got to Bend, I had developed perhaps a bit of an unhealthy relationship with my truck (it was in more of my pictures than I was), and it was a welcome relief to be able to stay with some friends while in town. I didn’t know much about Bend, so I relied on the wisdom of others to help steer my actions in the short time I was in town. 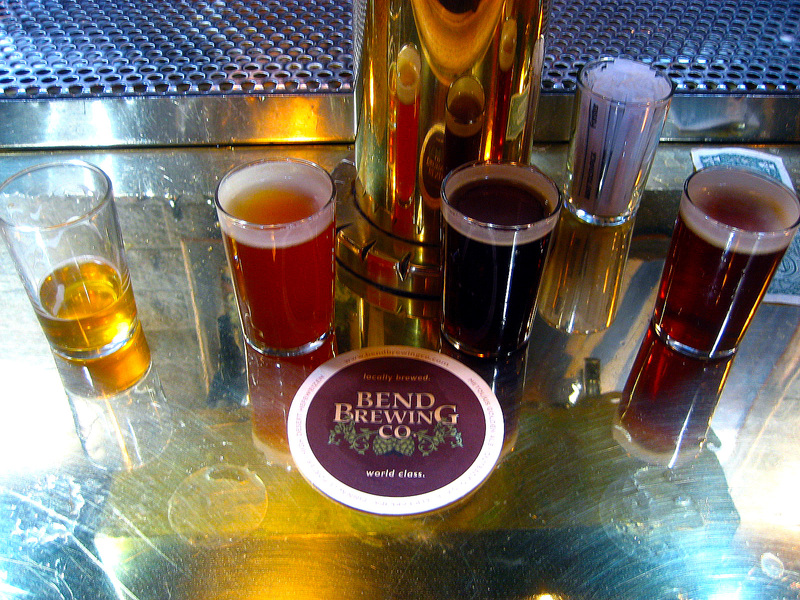 The number one recommendation from any of the people I met in Bend was that I needed to visit the breweries, and who am I to argue with the wisdom of the masses. The biggest and most well know of the many fine beer producers in town is definitely Deschutes Brewery, so I headed over to see what all the fuss was about, and I was not disappointed. Now, I’d been on quite a few brewery tours by this point in my life, and many of them are pretty standard… “We brew with only the finest ingredients… Here are our fermentation tanks… Try our beer!” While this is all well and good, Deschutes gave a little more insight into their overall production plan. I especially enjoyed learning that the spent grain from their brewing process gets sent to two places – a cattle ranch to feed the cows and a bakery to make bread. 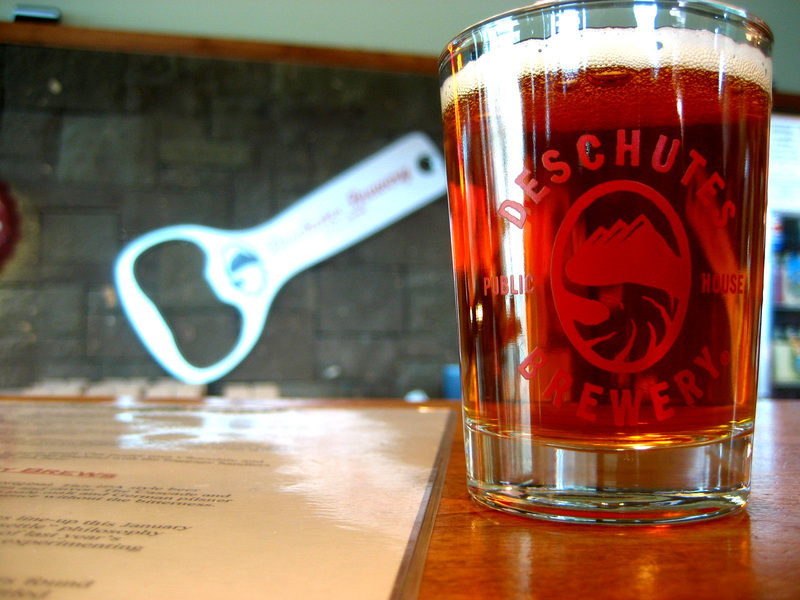 Deschutes then buys the beef and bread to serve at their brew pub. It’s a wonderfully delicious cycle. 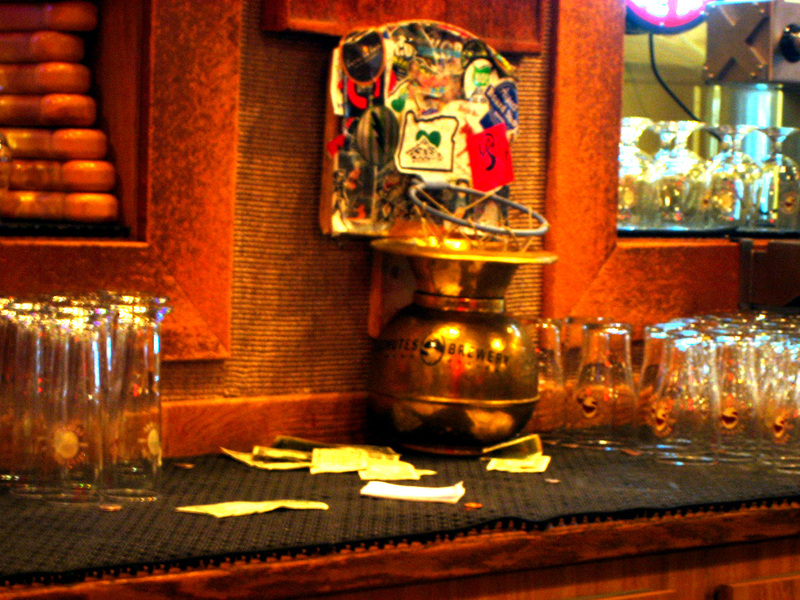 I decided to visit the brew pub to test this mutually beneficial relationship myself, with the conclusion that it is a totally worthwhile endeavor. 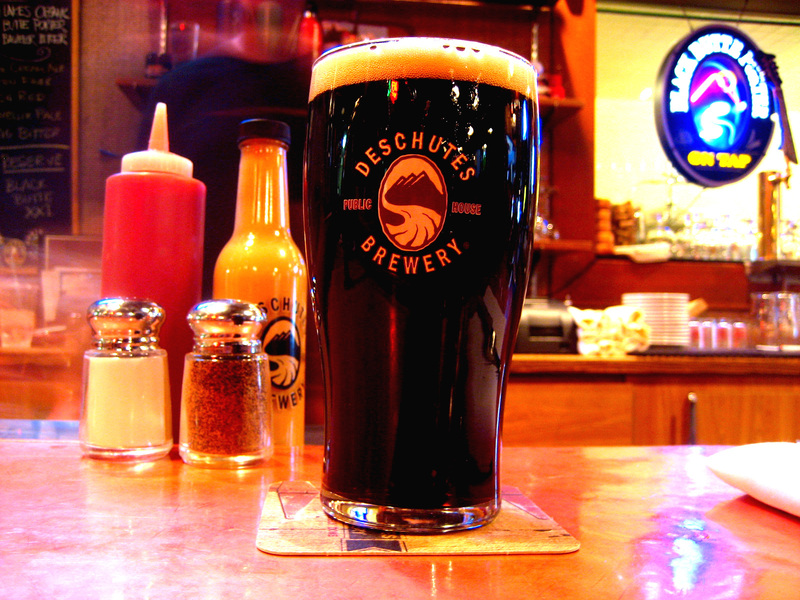 While at the pub, I also tried Deschutes’ Hop in the Dark, a black IPA (also known as a Cascadian Dark Ale). The very first black IPA I had ever tried. My mind was blown! I’ve been a fan of the style ever since. Hop in the Dark. The very first Black IPA I had ever tried. 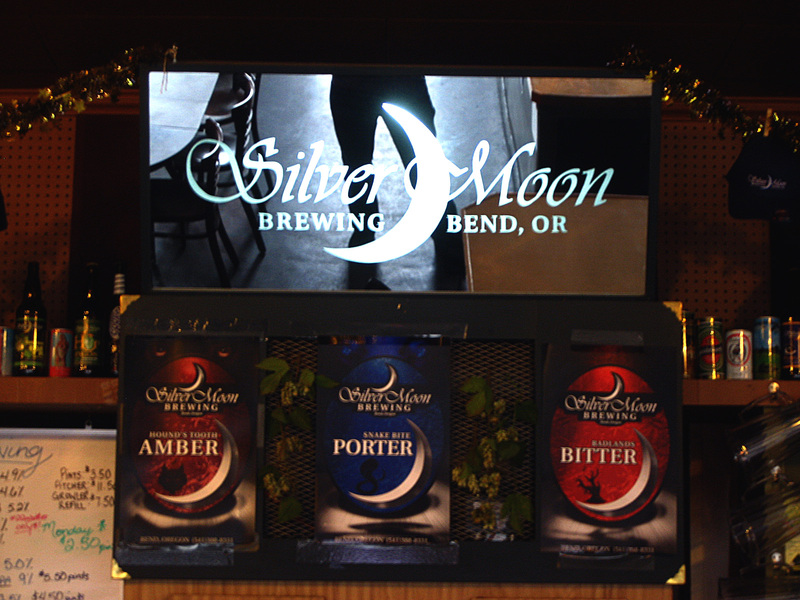 Posted in Beer, Outdoor fun, The Americas Adventures, USA AdventuresTagged adventure, beer, bend, bend brewing co., black ipa, cascades, cascadian dark ale, deschutes, deschutes brewery, epic, extreme, hiking, mountain, mountain beer, mountain beering, Mountainbeering, or, oregon, pilot butte, silver moon brewing co., state parkBookmark the permalink.